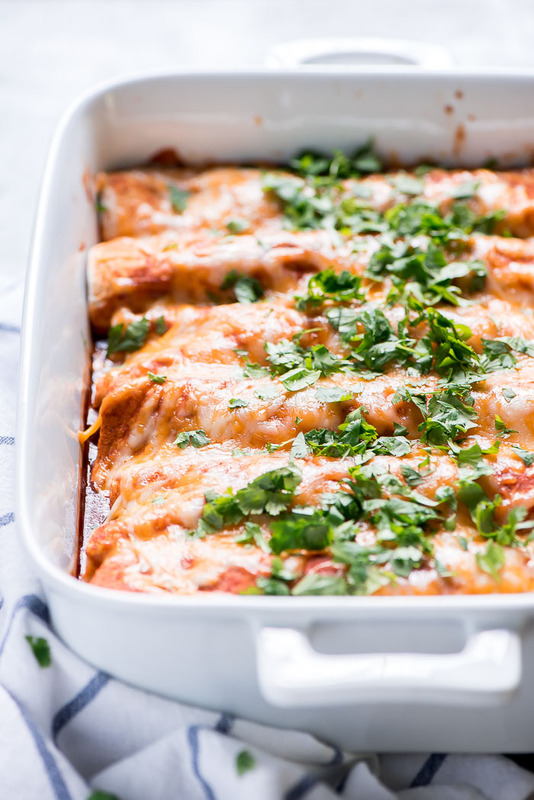 Beef Enchiladas are a hearty, cheesy meal that comes together in just 30 minutes! 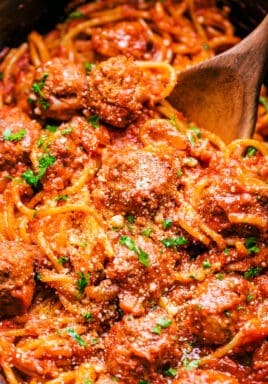 In addition to being quick and easy, they are also super delicious! They are sure to become a family favorite! 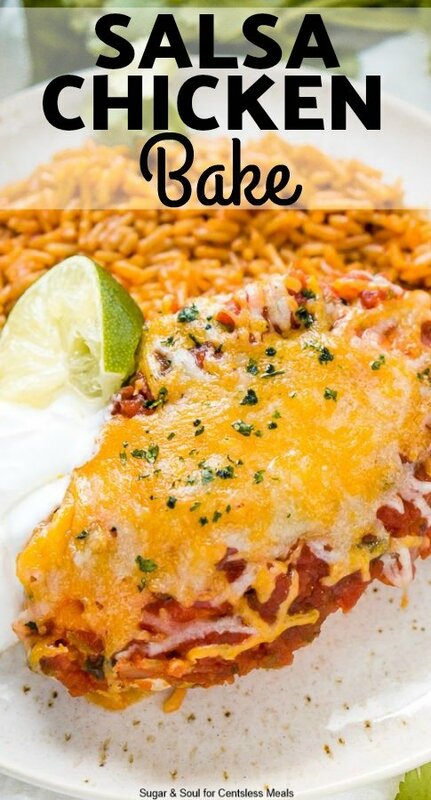 Tortillas stuffed with flavorful beef and beans, smothered in red sauce, and topped with warm melted cheese – now that’s a delicious dinner! Whether it’s a busy day or you’re just not in the mood to be in the kitchen forever, these easy Beef Enchiladas are for you. 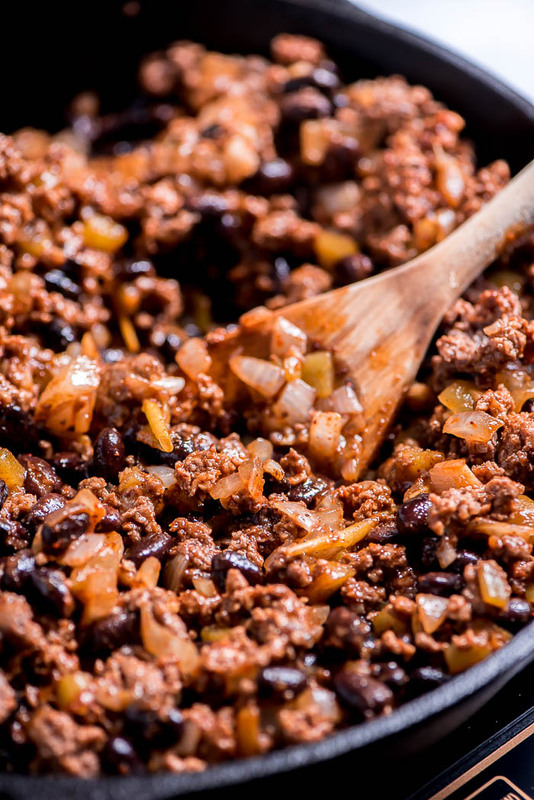 I love cooking with ground beef because it’s full of protein and iron, plus my kids love it. 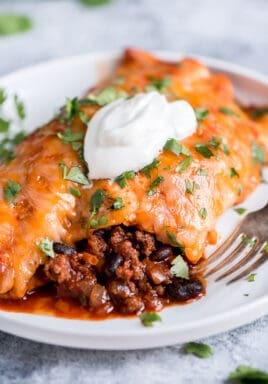 As a result, I always keep a couple pounds of beef in my freezer so I can make meals like Tater Tot Hotdish, Southwest Cornbread Sloppy Joes, and these easy Beef Enchiladas. It’s easy to make ground beef enchiladas (and everyone loves them)! I season the beef for enchiladas with chili powder and cumin for great flavor! Brown ground beef with the onions (a potato masher is easier and better than a wooden spoon). Once browned, add in garlic and remove from the heat. Mix in a little of the enchilada sauce, black beans, green chilies, and seasonings. These Beef Enchiladas take just 20 minutes to bake in the oven and then you can top them with anything you like. I like to keep things simple but you can finish these easy beef enchiladas off with tomatoes, jalapenos, red onions, cilantro, avocados, sour cream, lettuce…there really are so many choices! 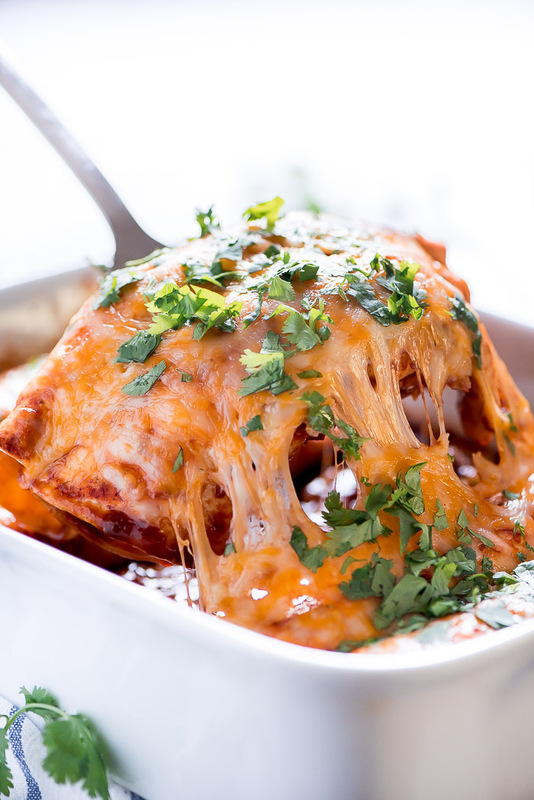 What kind of cheese should you use in enchiladas? You can really use any kind of cheese you prefer or have on hand. I like using Monterey Jack or Colby Monterey Jack cheese on enchiladas but cheddar works too. I do highly recommend using freshly shredded cheese because it melts much better than pre-shredded cheese. To complete this meal, serve it with a side of Mexican Corn Salad or Spanish Rice. Beef Enchiladas are the answer to tonight’s dinner! You can’t beat a 30 minute meal that’s as yummy as enchiladas. Enjoy! Taco Shepherd’s Pie – Easy! Mexican Corn Salad – Favorite side! CrockPot Mexican Dip – Perfect party food! Beef Enchiladas are so easy and delicious! 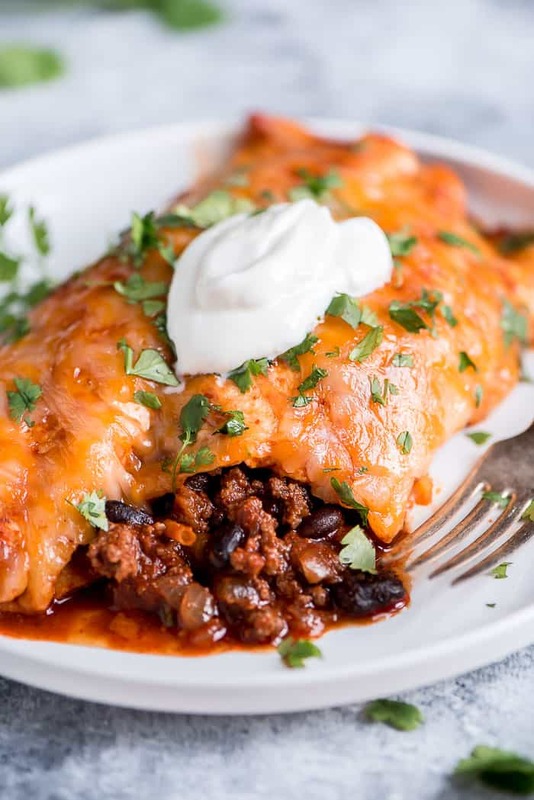 Tortillas stuffed with flavorful beef and beans, smothered in red enchilada sauce, then topped with warm melted cheese make a flavourful and easy dinner! Heat oil in a 12 inch skillet over medium-high heat. 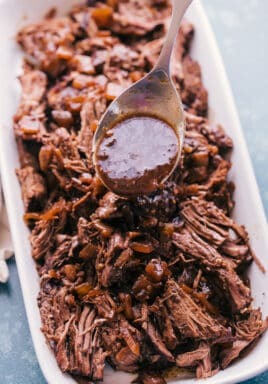 Cook beef and onions, breaking up beef using a potato masher or spoon. Cook until meat is browned and onions are translucent. Add the garlic and cook another minute. Turn off the heat. Mix in 1/3 cup enchilada sauce, black beans, green chilies, and seasonings. Pour 1/3 cup enchilada sauce in the bottom of a 9x13 inch pan. Set aside. Spoon meat mixture into the center of each tortilla and roll up. Place seem side down in the prepared pan. Pour 1 cup enchilada sauce over the top of tortillas and then sprinkle with cheese. 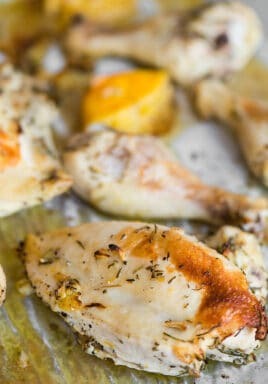 Cover pan with foil and bake for 10 minutes. Remove foil and bake for an additional 10 minutes. Sprinkle cilantro on top and serve with a dollop of sour cream or plain Greek yogurt. Nutrition calculated without sour cream. Just wondering if they can be frozen before baking or shd I bake as directed. Then freeze. Or freeze at all. I haven’t tried freezing it so can’t say for sure. These are standard sized soft taco tortillas. You could also use fajita size and make two rows in your pan.